The quest to get the most befitting and durable flooring for your home is one to be passionate about if you want your home to continue living in the trends of time. Getting the most durable flooring for your home is an essential task as it is essential to think about the safety of your kids, you, your pets and most importantly how it makes your house look and feel. 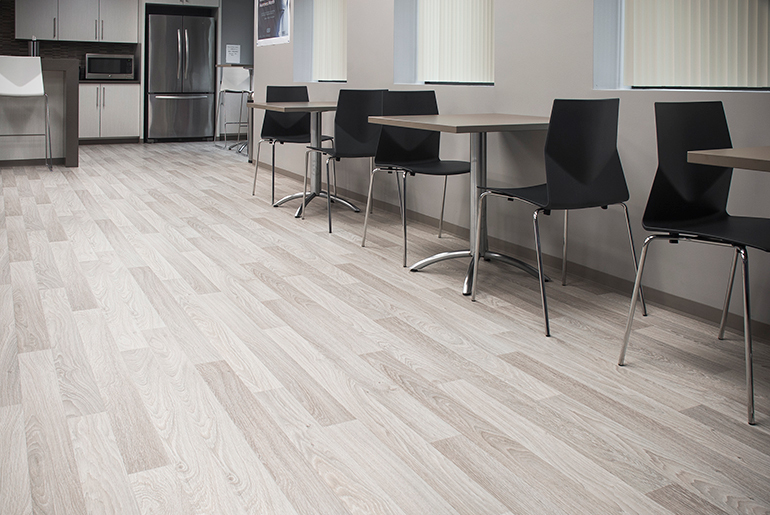 Durable flooring also has great resilience that makes them last even longer, and they are easy to install. This type of flooring has been around for decades and it’s not about to go away yet, this is because it is right there at the top with the best and most durable flooring you can think of. Vinyl is a strong type of flooring. The product is massively resilient, solid and easy to install. Vinyl is highly durable because of its low-stress installation process. The product is made to have a look of wood like planks, or sometimes it can be presented with the look of a natural stone tile. It fits directly into any of your rooms. The great thing about this flooring is how resilient it is and how it withstands high traffic in the house and still takes a very long time to wane. High traffic areas in the house can subject vinyl to scratches, dirt, and scuffs but with proper cleaning and maintenance, you are sure to get the vinyl looking all new and attractive again. If you are interested in making your vinyl look luxurious, you can try the use of extra wide planks as it brings warmth to the house. This is another durable type of flooring that has been used for over a long period. This type of flooring is above others because of the look, it is highly attractive, and it is durable. This type of flooring is scratch proof, and any form of spills on the surface is easily wiped out because it doesn’t absorb liquids. The ceramic and porcelain are balanced with the good looks of a tile and you can’t take away the creative blank slate that is presented with this type of flooring. The only downside to this type of flooring is it is your glass jars are not safe when they drop on it as it will immediately crack on landing on the ceramic surface. This for me is the best there is in the market, the laminate flooring is scratch resistant, and you are sure that the product has a long life span. However, moisture can be a bad friend to this type of flooring. The manufacturers of this type of flooring are making sure the product is getting more and more durable over the years which means this is the most improved type of flooring in terms of durability. This is why you should invest your money on this without doubt. To get the best kind of laminate flooring for your home especially the places with high moisture it is advisable that you buy the laminate flooring that comes with the waterproof feature, an example is the Aqua Step. The catch to this type of flooring is unique as the product can be easily restored to its original look. The enigmatic feeling that comes with hardwood flooring is that it doesn’t guide against scratch and yet hardwood research advocates say that scratches bring out the beauty of hardwood flooring. However, the hardwood flooring is a uniquely durable type of flooring that will withstand deep sanding from any form of a beasty sandal. You may need a vacuum for your hardwood floor. Natural stone is one of the most durable floorings since ancient times and concrete flooring stands side by side with natural stone in terms of durability. You can attribute this type of flooring to the mountain floors as they remain intact after withstanding the test of time for years. Travertine and plenty of other natural flooring are the beasts of durability. There’s no regret in putting your money on this type of flooring. Having discussed the above-mentioned durable flooring for your home, you now know what to expect when opting for any form of floor covering for your home. With the right cleaning equipment and materials, the durability of any of the aforementioned floors would be highly remarkable.